Hello, my name is Mary de Boer, I have traveled to all the colonies of the Terran Union, and the Terran Colonial Channel (TCC) asked me to write about each of the worlds I have visited. The Year is 2056, and welcome to "Out of the world with Mary De Boer"
Some of you may recall the old show Star Trek. Today we can travel the stars, if you have enough credits, and I have been lucky as a member of the Traveler Society to earn a free ticket each month to visit these strange new worlds. I have traveled in everything from one of the old Batan class haulers to the Eden Class Jump-Transports. In that time I have seen how Terran's have changed, culturally to even genetically to meet the challenges of space. One of the things that someone living on Mother Terra forgets is that in space, everything wants to kill you. Systems are designed in triplicate so that people in space live. Space travel is hard and to this day I am amazed at how resourceful humanity is in figuring out how to survive. Due to my contacts in the scout service, I have even been able to discuss future colonization efforts and how humanity expands its footprint. Mother Earth, home. For almost 1 billion humans, it is home. To think that just before I was born there was nearly eight billion humans on earth is still shocking. The great war did many things, and you can still see the scars. Of course, there is LEO, home of the great shipyards, who are busy producing ships non-stop for the great expansion. 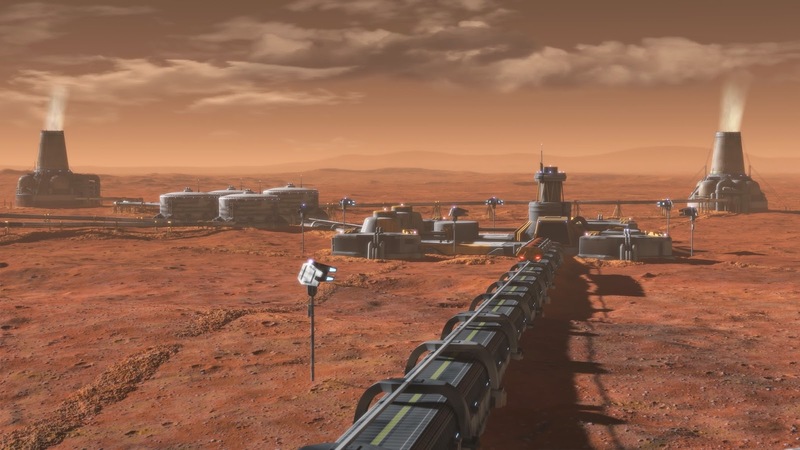 There is talk of building orbital habitats, but earth still has plenty of fallow land to use. However I cannot discuss Humanity without speaking of Earth, the very Terra that gives us our name. All shipping still leads to earth, and McMerf Spaceport still rises up from Singapore, providing the way up and down the gravity well. Travel is "Up and down the great beanstalk" as travelers call it. Tons of raw materials from the colonies arrive, and as it drops into the well, we can enjoy as the sky turns dark and space begins. For our first stop, we take a a Boeing-Airbus ECL3000 shuttle from Earth to Luna City. Luna City is many times people's only chance to go off world, and does have some tourist traffic. Set up as a mining colony early in the expansion out of earth's gravity well, Luna City is a place that is both familiar yet foreign to Earthbound Terran. You will have Italian opera music trying to drown out a Pachinko parlor, and failing, Swedish fur merchants mixing with old miners, all of which call Luna City home. Of course, what everyone recalls is the plants. Luna City is covered in plants, and no matter were you go, you see the plants growing. 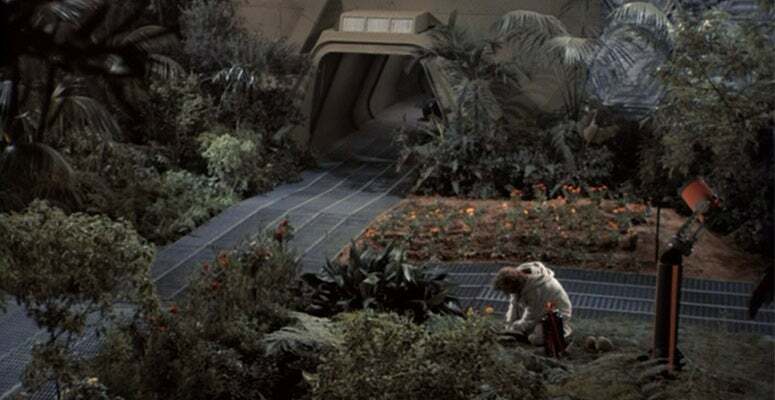 Even with the slight haze formed by the Luna City Terraforming project, it is still stark to see the darkness of space and the plants, many editable growing in every corner of the colony. The Culture is unique, Japanese workers, Swedish fur machants, and hard working miners from South America flooded Luna City, and when it hit 40 million, they voted to stop large scale immigration. The population has grown to 50 million, 2nd only to Mars as off world colonies in numbers. Luna City famous city plant life. To get from Luna City to Mars, you have more then one option, we decided to take the classic Batan ferry to Mars. The Red planet, how much has been written over the years about our neighbor? It was settled decades ago by old Argo Class cargo ships and Batan class liners. The Argo's have long since been retired, with the Argo maintained by the Smithsonian as a relic, while the sister ships of the Batan line still do their jobs 16 years after production. We where one of 250 people on the USS Sally Johanna, the 2nd of the class. Some of the newest Ion class ship designs easily go faster then 5000 km/s, The Sally Johanna can make 54 km/s. She is not fast by today standards, but she fuel efficient and provides regular, non-cryo service to mars. It is sobering to recall that some of the young men and woman who serve on the ship where born on the ship. The ship is by all accounts highly reliable and easy to maintain, with parts from the scrapped Argo class meaning that the Batan's could serve indefinitely. Then you get to Mars and you see the new canals, as the colony has grown and expanded across the surface. 58 million souls call it home, and more arrive each day. Martians are a tough lot. Taking the culture of the american west with heavy immigration from Indian-Pakistani refugees. Thus it not uncommon to to see someone who parents where born in Mumbai talk in a texan drawl and wear a cowboy hat. Also, Sundays are a quiet day, as the Mormon influence takes hold and many shops shut down and the automated systems work for a day. 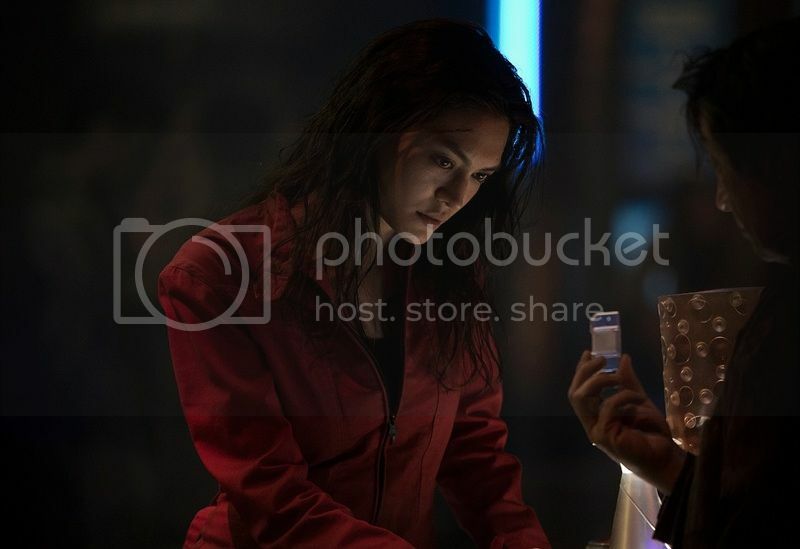 The Mars economy is varied, they produce all they need, but the only thing they export is some specific pharmaceuticals, and raw materials by the proverbial ton. 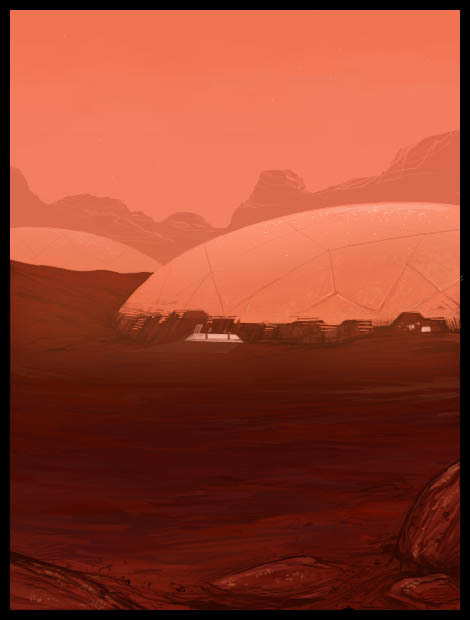 In addition, Terraforming, exploitation of the Mars ruin complex, and building homes for new arrivals make up much of the work on Mars. People have a dream here, of a green mars blooming with life. And I think they just might get it. In orbit in Demos is what the military calls Olympus Base. The reality is that it consists of all the easy to maintain ships surplus to current needs. Earth Orbit is crowded and they are out of the way and can be called at any time. A old Rheme class cargo ship, the SS Jumanji, was doing a annual service run to the Jovian colonies, and it was time to head out from Terrans 2nd home to visit the four sisters of the Jovian system. 2.8 million people live on Callisto. To this day, many wonder the same question. Why? Unlike Luna or Mars, Callisto does not have any wealth in it mass. Just a Icy rock that has enough gravity to support life with infrastructure. The simple fact is that sometimes, people just want to get away. The large amounts of iced water means that as long as fusion generators can supply power, life is easily maintained. It is a good jumping off point for the rest of the more wild sister colonies, and famous Terran poet Janet Tripplehorn homesteads near Doaks city, one of the many small settlements that define Callisto. The beauty is stark, and there is little wealth to be had, but man say it has the feel of old Alaska. It also has a service base for the sorium skimmers who collect fuel for the Helix fleet of Jupiter. Typical Callisto homestead. The owner is a computer programmer for the Helix project. He stated that the best part of the job was that he didn't have to see anyone face to face. Small J240 shuttles supply service to the other Jovian colonies from the Callisto hub. Now was time to visit the other, more wild locals of Jupiter. Io - Hell or heaven? Welcome to the Io. Please remember that the Zensufism monks do not allow photos to be taken. Zensufism, a mystical order founded in the middle of the great war, did not feel at home on Earth back in 2040. So they found one of the least desired planets in the system and offered to settle it with their wealth. The Union colonial office was more then happy to find someone settle the innermost moon of Jupiter, and too this day, the monks discuss their mystic thoughts while watching the volcanoes explode. 2.1 million people have immigrated here, with each monastery its own world, with it own rules. It is handled in it own pace, first comes the life support, but after that, they focus on spiritual matters. It is a place of peace, and shocking all, still to this day people arrive to this forsaken world to find peace among hell. 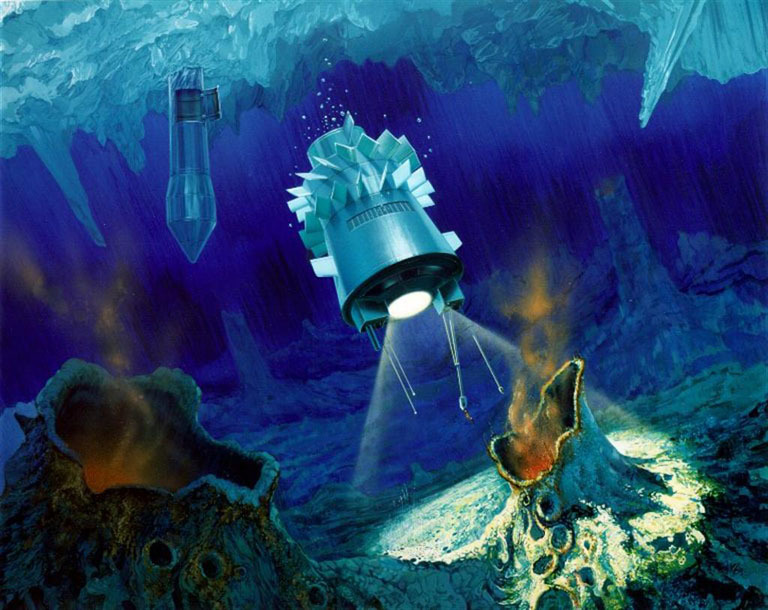 Science was saddened by the lack of life under Europa's ice shelf. 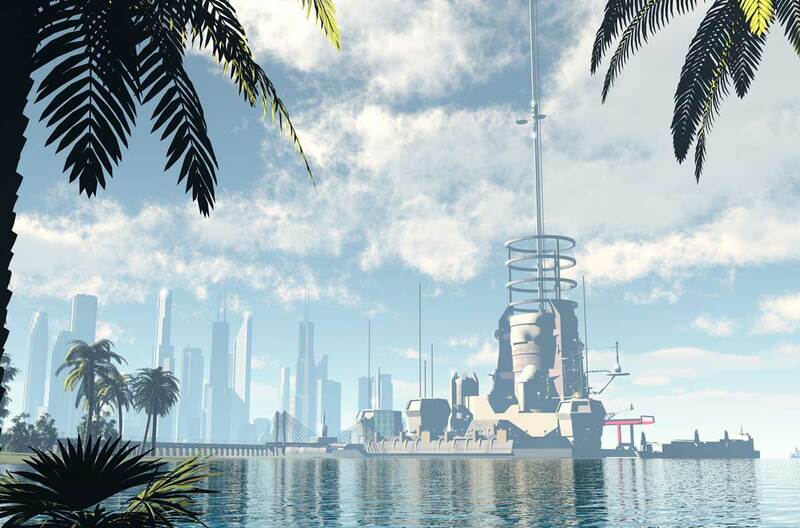 However the Ice and water protects the colony from radiation and a few key resources means that this is viewed as key colony in the Sol system. Unlike the homesteading and religious backgrounds of some of the other Jovian colonies, Europa is a creature of the Europa Mining Company (EMC) who controls a 50 year lease on the moon. As some like to say "Company Job, Company house, Company Hymn, Company Funeral." Every facet of life on Europa is controlled by the EMC. It a stark contrast to the other Jovian colonies, but they make it work. It not a well known fact that Obi wan-Kenobi (saint of the Jedi faith) was referring to Ganymede when he called a place "a great den of villainy." All travelers are warned about Ganymede, and for many, the warnings provide a lure. For those who do not know their history, in 2051 3.8 million colonists where dropped on the moon, even though infrastructure could only support 400,000 at the time. A year of riots and death began, and even though troops where able to maintain order and supplies dropped off and people evacuated, traditional law and order never returned. There is still the rich gallicite deposits that are worked, but it famous for everything else for sale. Visitors are well treated, ranging from a Helix gas grew blowing off steam to shady company types to even journalists. If you have credits or goods people will not harm you. After all, they want you to spend your credits on the gambling halls, the shady deals, the bar girls, and all the other shady dealings. Just make sure to keep your word and do not steal, otherwise the Ganymede Secret Society/Gangs that are the real powers will make sure that you never leave. Imperial authorities allow this to exist as the societies make sure that the mines stay open and are supplied. After visiting the Jovian colonies, it was time to go to Titan, which required travel all the way to earth to connect with another ship heading to Titan. Such is the way of travel. Titan - the cold stepchild. Not many people have visited Titan, with only 360,000 living on the Saturn moon. The locals laugh that it might of been a mistake. Titan is not a easy place to settle, and while it has good resources, the wealth of the easy to exploit Mars and Luna resources always meant that it was on the back-burner. Recently the colonization office has made a push to build more domes on the moon, expecting to get the population to 1.5 million, and over the self governing level of 1 million souls. Many feel that the Luna resources, some of which are already being played out, might be a driver to expand Titan. If you do visit, make sure you hear the traditional music of Titan. They use microphones in the thick atmosphere to record the winds, and then add ambient music to it. I was expecting my tour to continue to off Sol, but then I obtained a unique opportunity to visit the Ceres colony, and the Belters who live there. In 2048 there was a secret government program to produce humans more suited to the low gravity on some moons and larger asteroids. 180,000 people were so modified, but this turned out to be deeply unpopular. 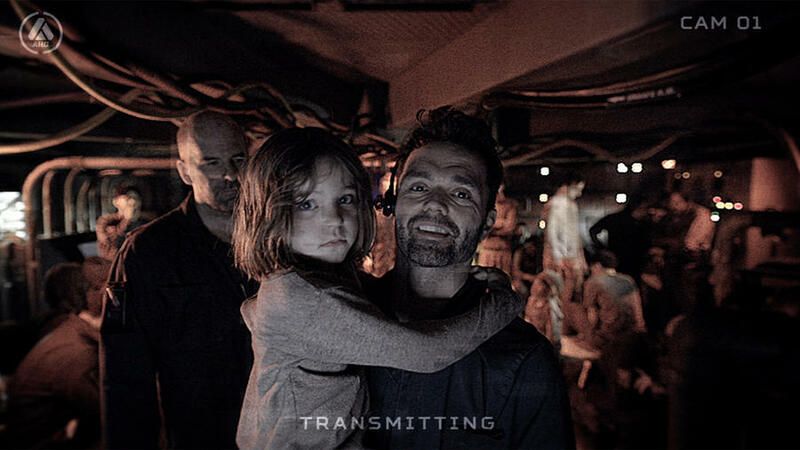 However there was already 180k humans so modified, so a home needed to be found. Digging into the large -near planet Ceres, this group now has grown to 220,000 souls. Conditions are sparse, and they are suited to the low pull on the world. Some work on the ceres mine, some work in telecommute jobs, others keep the mine running. They live communally, and are surprisingly patriotic to the Terran Union, as they view the government placing them on Ceres not as a exile, but protection and allowing them the self rule. There has been talk of Gene-modified humans being altered to settle Triton and some exo-solar colonies. The next post will discuss the Exo-solar colonies of the Terran Union, from New Oxford to Hardhome. I will just let this be a Sol system one. Running low on nice photos.